Bojan Perkov, Ellery Biddle, Lauren Finch and Sarah Myers contributed to this report. Global Voices Advocacy's Netizen Report offers an international snapshot of challenges, victories, and emerging trends in Internet rights around the world. This week's report begins in Russia, where state efforts to build a uniquely Russian search engine are receiving low marks from bloggers and government officials alike. In Russia, a planned government-sponsored Internet search engine, Sputnik.ru, will be a surefire flop, according to blogger and RuNet guru Anton Nosik [ru]. 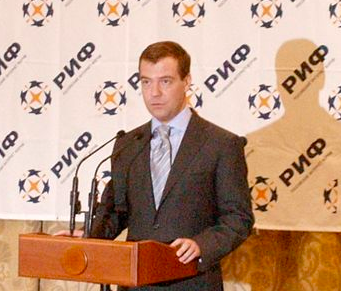 Surprisingly, Prime Minister Dmitri Medvedev seems to agree – he told a state commission last month that the work on an e-government portal was “low quality” and “a discredit to the project.” State-controlled telecom company Rostelecom has already spent US $20 million developing Sputnik.ru, which Nosik says is unlikely to be able to compete with RuNet’s leading search engine, Yandex, without the government resorting to administrative levers. The Azeri Central Election Commission made the untimely mistake of releasing the results of its presidential election via an official smartphone app – before voting had even started. As few anticipated the election would be free or fair, it was perhaps not so surprising that President Ilham Aliyev “won” 72.76 percent of the vote a full day before voting had started. While the data were quickly recalled with the excuse that developers had mistakenly sent out 2008 election results as a test, Aliyev was officially re-elected a day later with nearly 85 percent of the vote. A Chinese journalist, Liu Hu, has been arrested after writing a series of posts on Sina Weibo accusing four high-ranking state officials of corruption. His arrest comes as part of an ongoing crackdown on online rumors, which now appears to be having chilling effects on discussion online – the few voices of support for Liu have become the target of “trash feedback” in support of the government from the 50 Cent Party, according to netizens. In Zambia, Chief Jumbe of the Kunda people has publicly criticized President Michael Sata's government. In response, Sata has warned Jumbe that he has wide surveillance capabilities. According to news website Zambia Reports, President Sata enjoys listening in on the telephone conversations of people in his cabinet and has sought to extend surveillance more broadly to monitor citizens in the country’s capital. A new unit of the UK police focused on prosecuting intellectual property crime has called for the domain names of several major torrent sites to be suspended. The newly founded Intellectual Property Crime Unit of the City of London Police reached out to several domain name registrars asking that they shut down SumoTorrent, MisterTorrent, and ExtraTorrent. easyDNS has refused to comply with the order, calling it an abuse of power. Facebook changed its privacy settings so users will no longer be able to “hide” from searches. The company will disable a setting called “Who can look up your Timeline by name?”, which means that almost everyone’s profile could be found using the Graph Search tool. Users will still be able to choose which posts they want to share publicly. Google is lobbying the South Korean government over unusual restrictions dating back to the Korean War that limit online mapping services in the country out of fears that the information could fall into the hands of the North. Local maps rival Naver does not fall under the same restrictions because its servers are housed within the country. The government’s National Geographic Information Institute promises to provide an official English-language digital map for Internet companies to use beginning next year. The open-source anonymity network Tor is as “strong as it ever was,” according to an article in the Columbia Journalism Review. 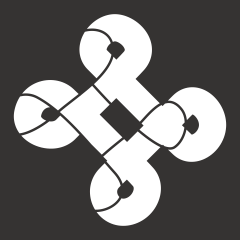 It cites a FOIA request submitted by the Electronic Privacy Information Center concluding that while the National Security Agency may have targeted the communications of individual Tor users, it has not made any efforts to undermine the security or reliability of the network as a whole, and has not been able to target individual people for cyberattacks or surveillance. The New Yorker profiled Ladar Levison, the owner and operator of secure email service Lavabit, which went dark after it was revealed NSA whistle-blower Edward Snowden was using the service. According to Levison, the investigation into Lavabit pre-dated the Snowden affair, and he believes Lavabit would eventually have reached the same position because it “constitutes a gap” in the government’s intelligence. The MIT Center for Civic Media has released What We Watch, a new site that lets you explore how culture spreads around the world over YouTube. Among other findings, Russia is one of the few countries that has held out against the popularity of Miley Cyrus’ “Wrecking Ball” music video – and we can’t blame them.